When charging and discharging the battery repeatedly over a short time, the battery usage time may be reduced. To restore the actual battery charge and the remaining charge display you will need to discharge the battery completely using the Smart Battery Calibration function, and then charge it again. IMPORTANT: If your laptop does not power on unless it is plugged in, your battery is dead. The information below will not resolve the issue; you will need to replace your battery. 1. Save and Close any applications/software that you are currently using. NOTE: If the AC Adapter is connected, you will not be able to run the Smart Battery Calibration. 3. Restart your computer, and then press the F2 key when the SAMSUNG logo appears to start System Setup. 4. Using the left or right arrow key, select Boot. 5. 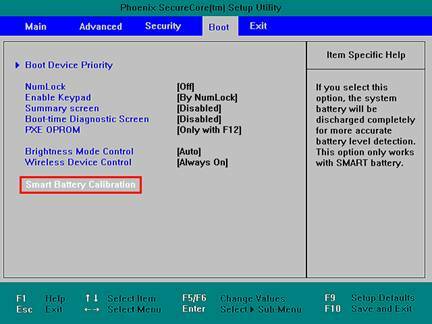 On the Boot menu, press the down arrow to highlight Smart Battery Calibration, and then press Enter. 6. 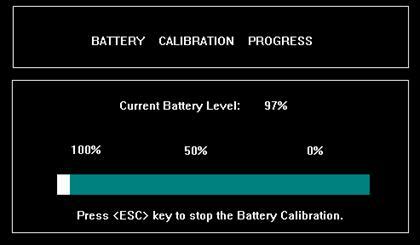 Highlight Yes in the Battery Calibration Confirmation window, and then press Enter. 7. The Battery Calibration function is activated and the battery is discharged by force. NOTE: This operation may require up to 5 hours, depending on the battery’s capacity and remaining battery life. If you need to stop the operation, press the ESC key. 8. After the battery has been discharged and the computer shuts down, connect the AC Adapter to your computer and charge the battery fully. The battery is now calibrated. Chromebox: How Do I Connect A Monitor To My Samsung Chromebox?